We are giving away 24" x 60" sheets of our new affordable 3D Carbon Fiber Vinyl to 3 lucky winners on Facebook. All you have to do is find the wall post on our Facebook Page and reply to it with the comment "I want to win some Carbon Fiber". Then just get your friends and family to like your comment. The 3 comments that have the most likes by this Friday will win the 24"x60" sheet of Carbon Fiber Vinyl. 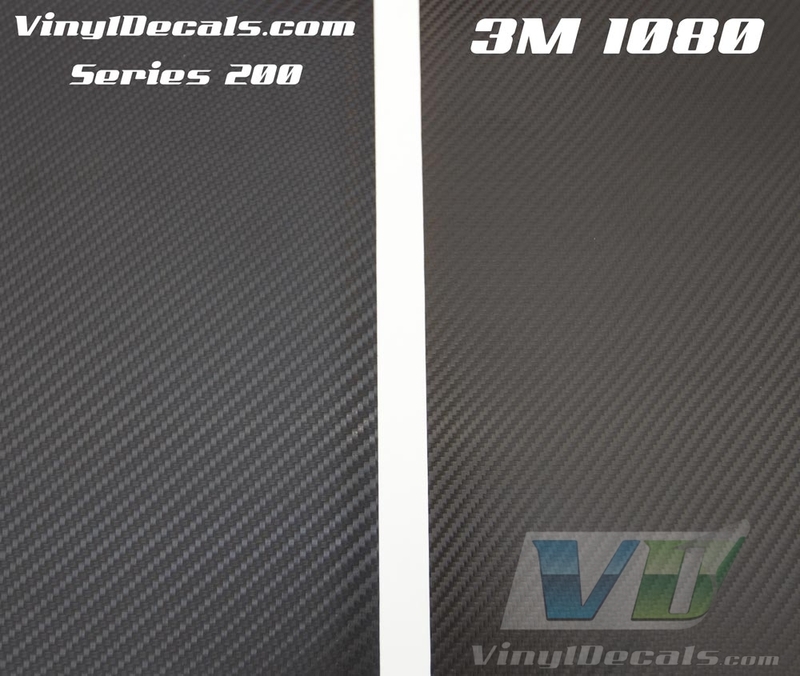 Below is a comparison photo of our 3d 200 series Carbon fiber vinyl next to the premium 3m 1080 Carbon Fiber. Head on over to our Facebook Page and enter. A 24" x 60" sheet is $29.99. You can see all the size and price options here - 3D Black Carbon Fiber Wrap Vinyl Series 200. Don't have a civic to measure. My best guess would be a 60" wide x 8-10 feet long. Best bet is to get measure the length of the roof and add a foot. Better to have a little extra than not enough. This contest has ended. We will announce a new contest soon. I could use a 24"x3" piece if you have any laying around....I'm wanting to wrap my rear trunk chrome trim because the chrome looks bad. PM if you have anything that small, it'd be awesome!